The 1st Coatings and Interfaces Web Conference has now been closed. We hope you enjoyed this new concept and see it as a good venue for you to exchange your new research ideas. We thank you for your support by participating at the 1st of our web conferences. It is our pleasure to invite you to join the 1st Coatings and Interfaces Web Conference (CIWC) that will be hosted online by Sciforum (https://sciforum.net/conference/ciwc2019). Coatings and interfaces play a crucial role in current technology and have critical importance in addressing major societal challenges. Among them energy efficiency, sustainable mobility, pollution, critical raw materials, corrosion wear and erosion, food safety and health science are of outstanding importance. CIWC will present the state-of-the-art of coatings and of the interface science and technology related to these issues. Advances in coatings and surface characterization. CIWC 2019 will enable you to share and discuss your most recent research findings with the worldwide vibrant community of scientists and engineers in the field. CWIC 2019 will make your presentation accessible to hundreds of researchers worldwide, with the active engagement of the audience in question and answer sessions and discussion groups that will take place online. Submitted abstracts will be reviewed by the conference committee. The authors of accepted contributions will be invited to produce an extended abstract for the conference proceedings along with a slide presentation of their work. Following the conference, outstanding contributions will be invited to be submitted for publication in Coatings (http://www.mdpi.com/journal/coatings). CWIC is a new and exciting experience for me that I believe that it is a taste of the future. CWIC will revolutionize dissemination in the field with a brand-new tool for sharing research in an online environment that will preserve the same standards and structure of traditional conferences, but will be more inclusive by breaking the cost and time barriers that prevent participation in remote events. ICTs are shaping our world, let’s make them change the way we communicate science! We hope you will join us and present your work at CIWC 2019, and be part of this thriving online experience. 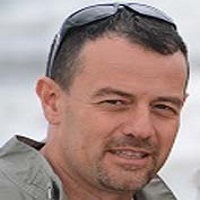 Dr. Alessandro Lavacchi is the Editor-in-Chief of Coatings, an international open access journal devoted to the materials science and applications of deposited materials. 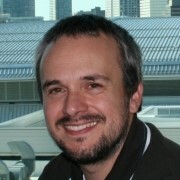 Dr. Lavacchi is a Research Scientist at the Italian National Research Council (ICCOM-CNR), where he also is the Head of the Electron Microscopy Facility. Dr. Lavacchi’s research focuses on electrochemistry and materials science with a special emphasis on energy-related surfaces and coatings science and engineering. He has co-authored more than 80 papers in leading international journals, as well as the monograph “Nanotechnology in Electrocatalysis for Energy,” edited by Springer. Professor Massimo Innocenti is the Associate Editor of journal Coatings. His research activity is focused on nanomaterials obtainable by electrochemical processes, which are used in the field of electrocatalysis, energy and sensors. From 2013–2015 he was the elected member of the Executive Council of the interdivisional group Chemistry for Renewable Energy (EnerChem). In January 2016 he was re-elected as a member of the Executive Council of the interdivisional group Chemistry for Renewable Energy (EnerChem) for 2016–2018. From 2013–2016, he was an ESRF Review Committee member at the Synchrotron of Grenoble. From 2014–2015 he was the Guest Editor of the Special Issue "Metal Nanocatalysts in Green Synthesis and Energy Applications" for the journal Molecules. He has taken part in various research projects at the Synchotron of Grenoble and Trieste. Prof. Dr. Innocenti is a member of SCI (Italian Society of Chemistry). He has undertaken notable international collaborations with the universities of Ulm (Germany), Athens (Georgia, USA), S. Carlos (Brazil), and Krakow (Poland). The 1st Coatings and Interfaces Web Conference will be held from 15–29 March 2019. CIWC 2019 aims to promote and advance the exciting and rapidly changing field of surfaces, coatings and interfaces. All proceedings will be held online at https://sciforum.net/conference/ciwc2019. CIWC 2019 is a virtual conference sponsored by Coatings. Participation is free of charge for authors and attendees. Accepted papers will be gathered in the Proceedings of the conference. Selected extended versions of the papers will be published in Coatings with a discount of 20% on the Article Processing Charge (ISSN 2079-6412; Impact Factor: 2.350 (2017); http://www.mdpi.com/journal/coatings). CIWC 2019 offers you the opportunity to participate in this international, scholarly conference without having the concern or expenditure of travel—all you need is your computer and access to the Internet. We would like to invite you to “attend” this conference by presenting your latest work. Abstracts (in English) should be submitted by 10 December 2018 online at http://www.sciforum.net/login. For accepted abstracts, the proceedings paper can be submitted by 5 February 2019. The conference will be held from 15–29 March 2019. For information on the procedure for submission, peer-review, revision and acceptance of conference proceedings papers, please refer to the section “Instructions for Authors”: https://sciforum.net/conference/ciwc2019/page/instructions. Submissions should be made by authors online by registering with www.sciforum.net, and using the "New Submission" function once logged into the system. Scholars interested in participating in the conference can submit their abstract (about 200–300 words) online on this website until 10 December 2018. The Conference Committee will notify the acceptance of the abstract by 20 December 2018. In case of acceptance, authors will be asked to submit their manuscript, along with a presentation and optionally a video presentation of his/her paper (only PDF), until the submission deadline of 5 February 2019. The manuscripts and presentations will be available on https://sciforum.net/conference/ciwc2019 for discussion and rating during the time of the conference from 15–29 March 2019. The open access journal Coatings will publish a Special Issue of the conference proceedings papers. Accepted papers will be published in the proceedings of the conference. After the conference, the Conference Committee will recommend manuscripts that may be included for publication in this Special Issue. Manuscripts should be prepared in MS Word or any other word processor and should be converted to PDF format before submission. The publication format will be PDF. The manuscript should be at least three pages (incl. figures, tables and references). There is no page limit on the length, although authors are asked to keep their papers as concise as possible. Authors are encouraged to prepare a presentation in PowerPoint or similar software, to be displayed online along with the manuscript. Slides, if available, will be displayed directly on the website using the Sciforum.net proprietary slide viewer. Slides can be prepared in exactly the same way as for any traditional conference where research results are presented. Slides should be converted to PDF format before submission so that our process can easily and automatically convert them for online display. Besides their active participation within the forum, authors are also encouraged to submit video presentations. If you are interested in submitting a video presentation, please contact the conference organizer at [email protected] to find out more about the procedure. This is an unique way of presenting your paper and discussing it with peers from all over the world. Make a difference and join us for this project! Authors that wish to present a poster only, i.e. without proceedings paper, can do so in section F. Posters of this conference. Posters will be available on this conference website during and after the event. Like papers presented on the conference, participants will be able to ask questions and make comments about the posters. Posters that are submitted without paper will not be included in the proceedings of the conference. Submission: Manuscripts should be submitted online at www.sciforum.net/login by registering and logging in. MS Word: Manuscripts prepared in MS Word must be converted into a single file before submission. When preparing manuscripts in MS Word, the Coatings and Interfaces Web Conference Microsoft Word template file (see download below) must be used. Please do not insert any graphics (schemes, figures, etc.) into a movable frame which can superimpose the text and make the layout very difficult. Coatings and Interfaces Web Conference Microsoft Word template. Paper Format: A4 paper format, the printing area is 17.5 cm × 26.2 cm. The margins should be 1.75 cm on each side of the paper (top, bottom, left, and right sides). Formatting/Style: Papers should be prepared following the style of Coatings. The full titles and the cited papers must be given. Reference numbers should be placed in square brackets [ ], and placed before the punctuation; for example, [1,2],  or [1–3], and all the references should be listed separately and as the last section at the end of the manuscript. Author List and Affiliation Format: Authors' full first and last names must be given. Abbreviated middle names can be added. For papers written by various contributors a corresponding author must be designated. The PubMed/MEDLINE format is used for affiliations: complete street address information including city, zip code, state/province, country, and email address should be added. All authors who contributed significantly to the manuscript (including writing a section) should be listed on the first page of the manuscript, below the title of the article. Other parties, who provided only minor contributions, should be listed under Acknowledgments only. A minor contribution might be a discussion with the author, reading through the draft of the manuscript, or performing English corrections. Figures, Schemes and Tables: Authors are encouraged to prepare figures and schemes in color. Full color graphics will be published free of charge. Figures and schemes must be numbered (Figure 1, Scheme I, Figure 2, Scheme II, etc.) and an explanatory title must be added. Tables should be inserted into the main text, and numbers and titles for all tables supplied. All table columns should have an explanatory heading. Please supply legends for all figures, schemes and tables. The legends should be prepared as a separate paragraph of the main text and placed in the main text before a table, a figure or a scheme. For further inquiries please contact us at [email protected]. In this work an innovative method to obtain hybrid bio-functional scaffolds has been developed. Polyether urethane (PU) foam scaffolds were synthetized by one-step gas foaming process. PU foams were coated with crosslinked gelatin hydrogel to promote cell adhesion and proliferation for the regeneration of soft tissues (e.g., adipose tissue). PU foams were coated with inorganic coating (i.e., CaPs) to improve the interaction with osteoblasts for bone tissue regeneration. The functionalized 3D PU porous scaffolds have been characterized investigating morphological properties by SEM and microCT, water uptake and coating stability, and compressive mechanical properties. Adipose tissue derived stem cells (ADSCs), endothelial cells (MS1), amnion mesenchymal cells (AMCs) and chorion mesenchymal cells (CMCs) isolated from human placenta were in vitro cultured on the hybrid functionalized 3D scaffolds. Mechanical properties showed elastic modulus ranging between 15.75 ± 2.14 and 22.9 ± 3.1 kPa; in vitro biological studies showed good cell adhesion, proliferation, and differentiation. In particular, compared to the results with uncoated PU, when cells where differentiated into adipocytes, Oil red O staining confirmed a higher presence of lipid droplets; in case of osteoblasts differentiation, inorganic extracellular matrix deposition was evidenced on CaPs coated PU. The obtained results suggest the important role of an adequate coating on the scaffold to stimulate a better interaction with cells, promoting the differentiation into different cells phenotypes. Milk whey (MW) represents the major by-product of cheese industry. One possibility to recycle the MW wastes is the use of their globular proteins (MWPs) as a polymer source for the production of biodegradable plastic materials. MWP-based films are usually obtained by protein heat treatment in the presence of glycerol (GLY) as plasticizer at pH 7, a method which would require commercially high costing process. In this work it was exploited the possibility to produce manageable MW-derived biomaterials without any heat-treatment but under alkaline conditions. Our results demonstrated that the casting at pH 12 of the unheated MWP film forming solutions (FFSs), containing either 40% or 50% GLY, led to produce more resistant and flexible biomaterials than the ones obtained at pH 7. Also film transparency was observed significantly improved, being lower in the samples obtained at alkaline pH without MWP heating and with higher GLY concentrations. Finally, moisture content decreased with the reduction of GLY content, both in heated and unheated MWP-based films, whereas water uptake of the different films prepared at pH 12 did not significantly change. Coatings are a versatile tool for modulation of the biological response of biomaterials; in particular, the use of biopolymers as coating material may improve cell interactions and tissue adhesion. Among others, keratin is a natural protein able to stimulate fibroblast cells effectively and has the ability to bind metal ions. Coatings of keratin fibers onto titanium substrates can improve soft tissue adhesion, eventually coupling topographical (contact guidance) and chemical stimulus through the alignment of the fibers along sub-micrometric grooves of the substrate. Sub-micrometric keratin fibers were obtained by electrospinning both in random and oriented arrangements (though a rotating collector); in addition, antibacterial properties were added by enrichment of the coating with silver ions. This type of coating can be of interest in transmucosal dental implants, where perimplantitis is often due to infection (biofilm formation) and disease worsening is due to inflammation of the surrounding soft tissue, which is guided by fibroblasts. Keratin fibres coatings were prepared and characterized by means of Field Emission scanning electron microscopy (FESEM), X-ray photoelectron spectroscopy (XPS), cell (gingival fibroblasts) and bacteria (S. aureus) culture tests. FESEM observations demonstrated the possibility to deposit keratin fibres onto titanium substrates in random or oriented arrangements effectively. Keratin fibres were able to increase fibroblast adhesion and proliferation. On randomly deposited keratin fibres, fibroblast cells were significantly biologically stimulated and showed high adhesion and proliferation, but not orientation ability; on the other hand, aligned keratin fibres on a grooved substrate were able to stimulate cells both from the topographical (orientation) and biological standpoint. Finally, Ag-doped keratin fibres coatings were able to reduce S. aureus adhesion significantly, maintaining high biocompatibility. Considering these results, keratin sub-micrometric fibres coatings are a promising strategy for stimulating fibroblasts and reducing bacterial contamination. The most disadvantage of the fried falafel balls are the highest level of acrylamide formed during Maillard reaction. Falafel balls are one of the largest deep fat frying fast food in the Middle East made basically of chickpeas. The main aim of this study was to investigate the effect of adding transglutaminase (TG, E.C. 2.3.2.13) to the falafel dough followed or not by dipping into pectin (PEC 1%) coating solution. Acrylamide, oil and water content of the fried falafel balls treated or not by TG (5 or 20U/g of chickpea proteins) and coated or not with PEC-containing film forming solutions were evaluated. In addition, the texture profile analyses were carried out. We observed, by TOF LC/MS, that the acrylamide content was reduced, compared to control sample, by 10.8% and 34.4% in the samples set up by adding 5 and 20 U TG/g respectively. In PEC-coated samples, acrylamide reduction was about by 59%, 65.3% and 84.5%, in falafel balls prepared either without of TG or containing 5U or 20 U of the enzyme, respectively, suggesting that TG-mediated crosslinks increase the water content inside the falafel balls, thus, reducing the rate of Maillard reaction. However, TG treatment does not affect oil content, while the PEC coating reduces the oil uptake about 23.5%. Finally, no difference was observed between the control sample and the one dipped in PEC regarding their texture properties hardness, chewiness and gumminess, while these properties were influenced in samples set up in the presence of the enzyme. In this work, the electrospinning technique is used for the synthesis of micro/nanofibers using a polymeric precursor with hydrophobic (even superhydrophobic) behaviour such as polystyrene (PS) or polyvinyl chloride (PVC). These electrospun fibers are deposited onto aluminum substrates (6061T6). The effect of varying the different electrospinning deposition parameters (mostly applied voltage and flow-rate) will be exhaustively analyzed in order to optimize the resultant electrospun coatings. Several fiber characterization tests have been performed, including Field Emission Scanning Electron Microscopy (FE-SEM), Atomic Force Microscopy (AFM), Termogravimetric analysis (TGA), Optical Microscopy (OM) and Water Contact Angle (WCA) measurements. Furthermore, the anti-corrosion properties of these electrospun coatings can be enhanced by the addition of metal oxide nanoparticles (ZnO) which act as corrosion inhibitors. Finally, electrochemical corrosion tests (Tafel and pitting tests) have been perfomed, showing an improvement in the resultant corrosion resistance of the aluminum alloys coated by the combination of both polymeric film with metal oxide inorganic nanoparticles. As a sponsor, Coatings would like to award the best paper as elected by all the conference committee. The award will consist of 500 Swiss Francs. We look forward to posting your contributions. 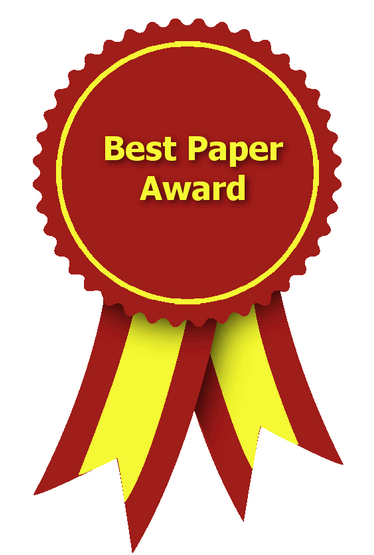 The Best Paper Award is given for the paper judged to make the most significant contribution to the conference. After Conference, you could choose to submit your papers to the Special Issue (https://www.mdpi.com/journal/coatings/special_issues/CIWC-1) which is set up by Journal Coatings (ISSN 2079-6412; IF 2.350 (2017), http://www.mdpi.com/journal/coatings), with a 20% discount on the APCs (article processing charges); you also could further extend your papers and submit it to other journals, this conference won’t retain the copyright of your submissions, for details please see the“copyright”statement at Instructions for Authors part.